This article is an opinion based on facts and is meant as infotainment. It is our fifth time ranking the most dangerous places to live in Illinois and is updated for 2019. We have proof that there’s a lot of ‘noise’ in Illinois in terms of its most dangerous cities. Gone are the days that parents can let their children run wild until the street lights come on. Heck, parents shouldn’t let their kids out of their sight in our most dangerous cities in Illinois for 2019. How does one navigate these dangerous cities when trying to make an informed decision on what city you should call home? We did the work for you. In order to compile our list, we looked at violent crimes and property crimes in cities with a population of 5,000. Folks, the cities that made our list have robberies happening in broad daylight, car jackings, and daily shootings. There are neighborhoods in these cities that you shouldn’t drive thru and there are areas that you definitely shouldn’t be in after dark. We’re not saying that there aren’t little pockets of goodness in these cities. The neighborhoods and shopping centers in these Illinois’ cities are not ALL bad. We do recommend that you spend some time studying them. If you choose one of these cities, you’re going to have to be aware of your surroundings at all times: there are a ton of ‘wolves in sheep’s clothing’ out there….just sayin’…. It’s not entirely Illinois’ fault. They are the sixth largest state in terms of population. As with most situations, there’s bound to be problems with that many people. On a positive note, there are people out there coming together to combat the problems that these Illinois’ cities are facing. And, some of the programs are actually winning. 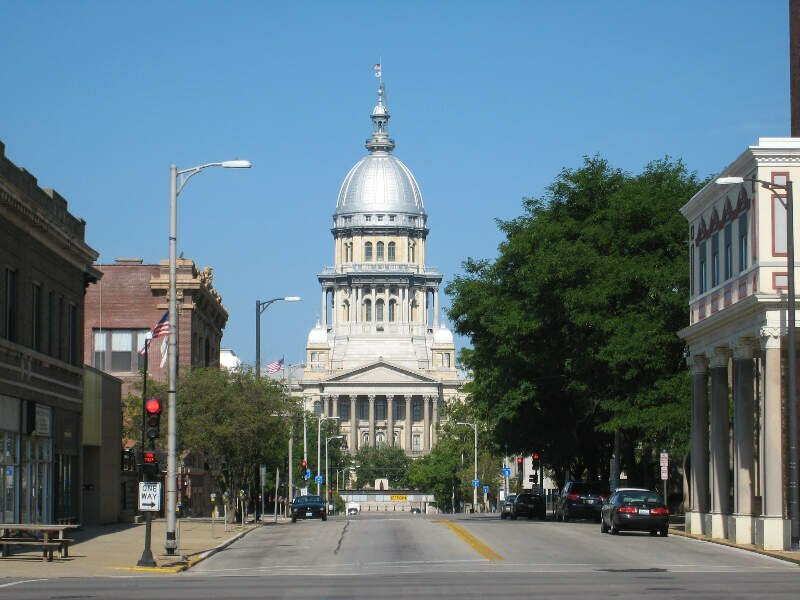 To see where these Illinois cities with problems are located, take a look below at our most dangerous cities in Illinois for 2019. What are the circumstances that make cities this way: not enough jobs, low wages, people just don’t want to work, prisons, drugs, gangs, close to larger cities that push their problems onto surrounding cities? We’re not entirely sure. But one thing we are sure about is our number one most dangerous city in Illinois is Danville. These Illinois cities on our most dangerous list could definitely use someone to come in and want to make it better: some TLC. If you’re looking to be that diamond in the ruff, or you’re just curious to see if your city made the list, take a look at our list below. And if you don’t see your city there, head to the bottom. 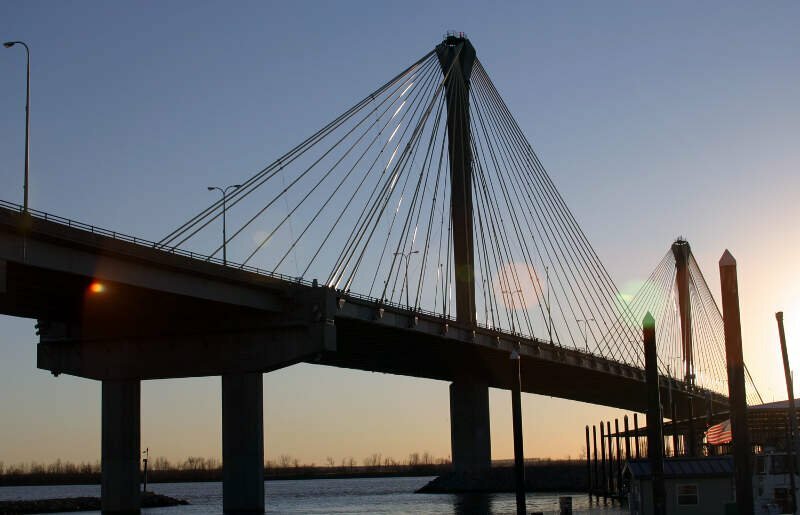 Or learn more about the safest places in Illinois. The trajectory of Danville’s crime rate gives it a 1st place finish in our analysis. Violent crime shot up from 2015-17, while instances of property crime also went up. That left residents of Danville with a 1 in 57 chance of being the victim of a violent crime in 2017. The crime is high and shootings are frequent. Most of the locals are untrustworthy and even the “best” areas arent safe from shootings and theft. The town has an abundance of bars, churches and salons and not much else. The only things to do here are cause trouble, pray and breed like rabbits. The local places to eat like to pass off canned vegetables or grocery bought coffee and tea as something worth over charging for. There are cockroaches on the tables at several establishments and people here have the mentality on racism and sexism that you’d find most suited for the 50’s mixed with an overwhelming air of bitterness and defeat. Based on the fact that the Springfield that the Simpsons live in only has one bumbling criminal in it, it’s a safe bet that they’re not from Springfield, Illinois. Although there has been a drop in property crime and a much more modest drop in violent crime from 2015-17, the improvements haven’t been enough to get the state’s capital, Springfield, outta the top 5. Located in (you guessed it) central Illinois, Centralia has a mix of good and bad news concerning its crime numbers. Violent crime decreased 2015-17, which is an achievement. Apparently the thieves and vandals didn’t get the memo, though, as property crime statistics have pretty much stayed the same. And with a 1 in 25.5 chance of being the victim of a property crime, that is very bad news. 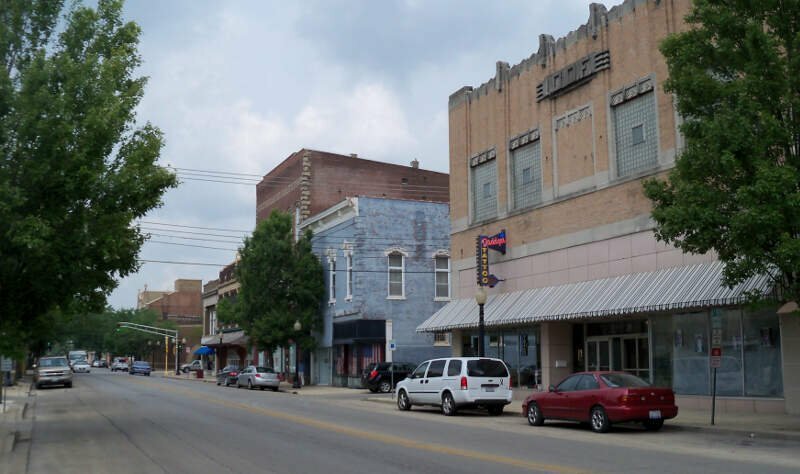 Metropolis, Illinois ranks as having the 22nd highest violent crime rate. While property crime fell by between 2015-17, violent crime rose. That increase left Metropolis residents with a 1 in 148 chance of being the victim of a violent crime in 2017. 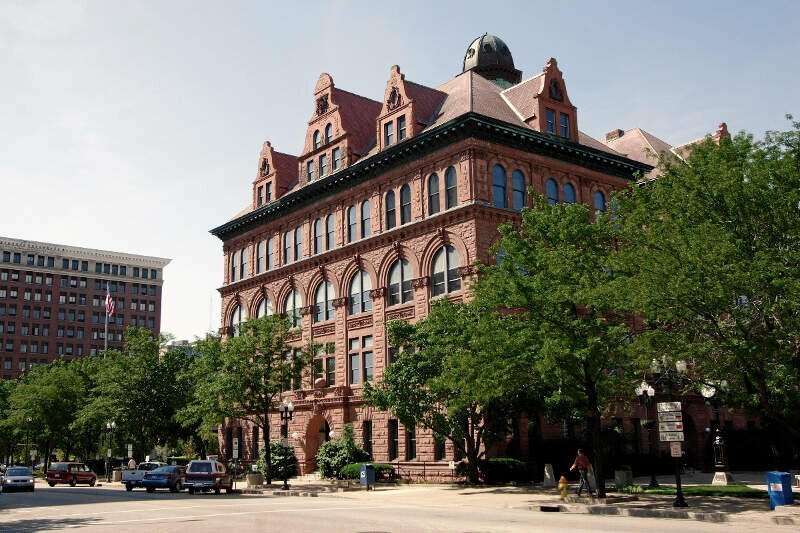 Rockford is the largest city you’ll be seeing on this list and the 5th largest city in the state. Located in northern Illinois about 80 miles west of Chicago, Rockford residents face a staggeringly high 1 in 62 chance of being attacked, raped, or killed. That’s almost 3 times as likely as it is in the Windy City. Rockford is a crime filled, dirty city, with no one really caring you are there or not. Looks of criminal looking people walking around and it was shady. Bad experience. Peoria residents faced a 1 in 131 chance of being the victim of violence in 2017 and a 1 in 23.7 chance of being the victim of a property crime — both statistics that have barely changed in recent years. It’s the 17th most violent city. 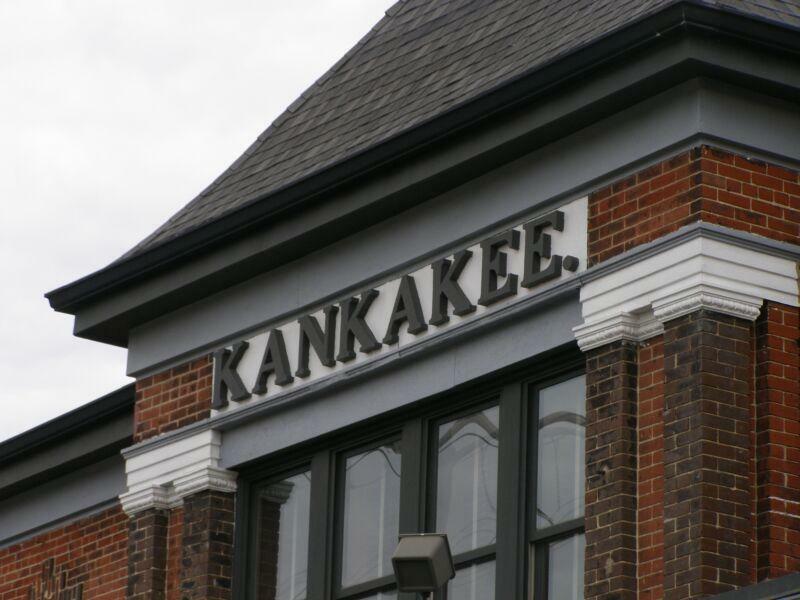 Located an hour south of Chicago, Kankakee has been working towards more substantial improvements, which may explain why its ranked slightly safer today. Between 2015-17, Kankakee saw an 18% drop in property crimes and a 23% drop in violent crimes. If this rate of crime reduction continues, Kankakee may be off this list in no time. 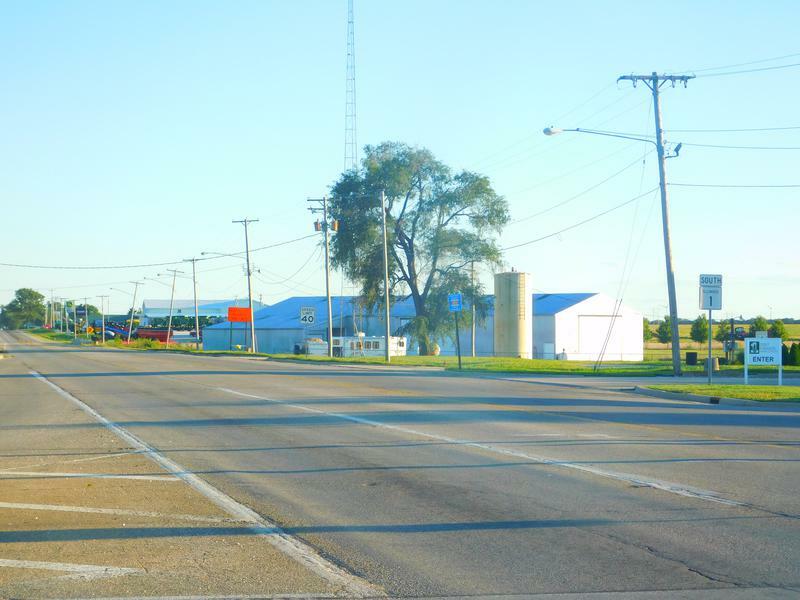 Hoopeston placed 8th in our ranking of the most dangerous cities in the Prairie State. This city’s violence now stands a 1 in 111 chance of being the victim of a violent crime. That compares to a 1 in 27.3 chance of being the victim of property crime. That’s pretty bad for a city of about 5,106 people. 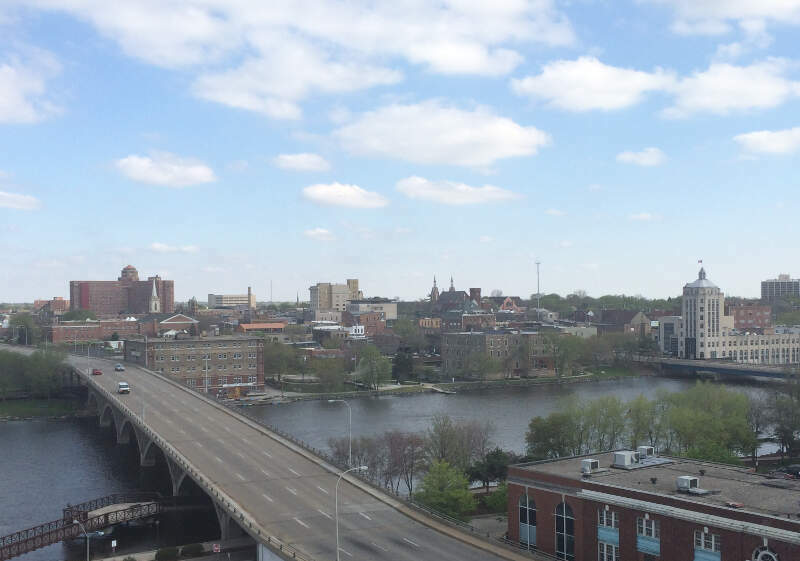 Harrisburg takes the 9th spot in our analysis of the most dangerous cities in Illinois. The rough and tumble nature of the town leaks into the crime stats. The city ranks 6th for violent crime and 31st for property crime. Coming in as the 10th most dangerous city in Illinois is Alton. While violent crime has been steadily dropping in recent years, with a 10% total drop in violent crime from 2015-17, property crime went up by nearly the same rate during this interval. That left residents of Alton a 1 in 1225.1 chance of being the victim of a property crime in 2017, and a 1 in 157 chance of being the victim of violence. 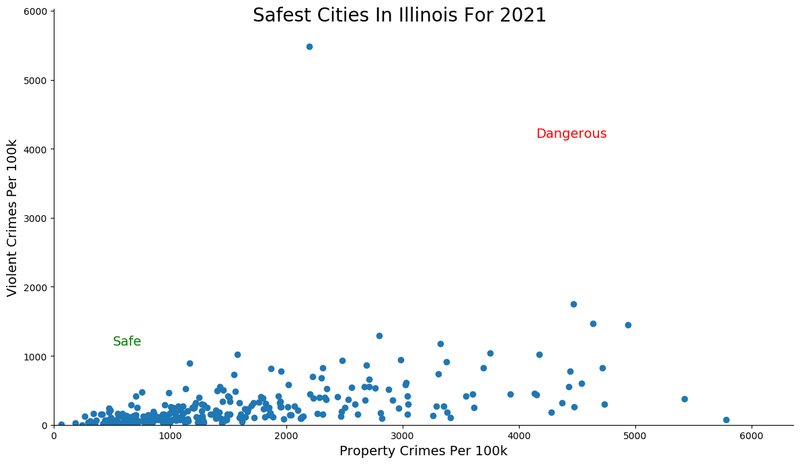 How we determined the most dangerous cities in Illinois for 2019? In order to make the analysis as apples to apples as possible, we only considered cities over 5,000 in population. That left us with 300 cities in Illinois. We then ranked each city from 1 to 300 for the two criteria with a #1 ranking being the most dangerous for the particular criteria. Finally, we ranked every city on the “Dangerous Index” with the lowest index being the most dangerous in Illinois — Danville. Read on for a detailed look at the 10 most dangerous cities in Illinois. 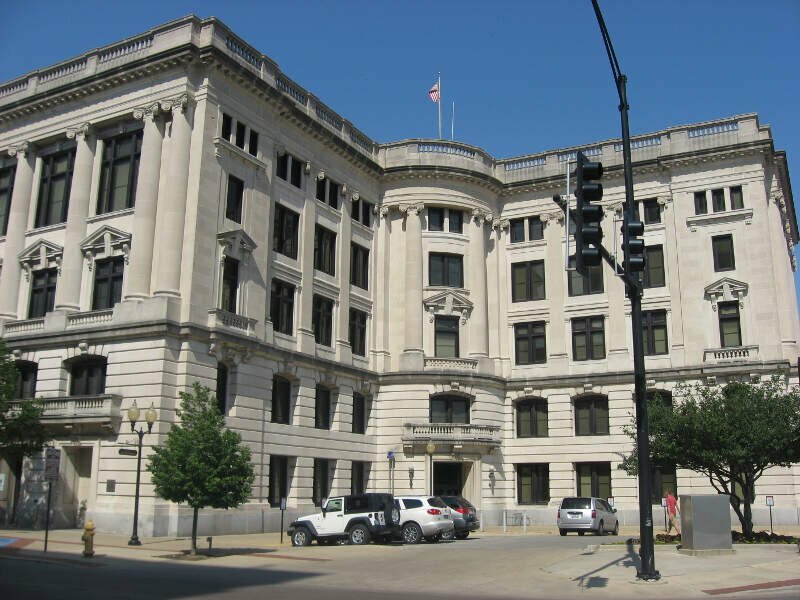 The latest FBI crime data shows that Danville ranks as the most dangerous city in Illinois for 2019. We want to point out again that there’s still safes places in Danville and that this isn’t a comment on the people that live there. So please don’t beat us up. Where Are The Most Dangerous Cities In Illinois? This is a BS article. Chicago nor East St.Louis are mentioned. Those two cities are clearly more dangerous than Mt. Vernon or Centralia. But, of course those two cities are full of Obama constituents. It wouldn’t be politically correct to point out their problems. You have no idea how statistics work, do you? In 2013 Chicago had 422 murders, most of these cities on your list had 1 or 2. Centralia was home from 1950 – 1965. I have nothing but wonderful memories from being raise there. With the Railroad pulling out, The Interstate going the wrong way the city begin to die. With the addition of the prison, the low lifes came by the hundreds to be near their love ones bringing the drugs, the gang bangers, pimps, crooks, and other low life. End of any opportunity for growth or employment. Tear down the prisons and the cockroaches will move on. Don’t know when this article was written, but Rockford was on the news recently as being the #1 highest violent crime in Illinois and #3 in the nation. I live in Rockford, and it is very violent. Recent being May 2016. The data set that led to Rockville being ranked as number one probably focused only on cities with populations over 100,000 because on a national scale there would be too many variables that would skew results when comparing cities and towns with smaller populations. 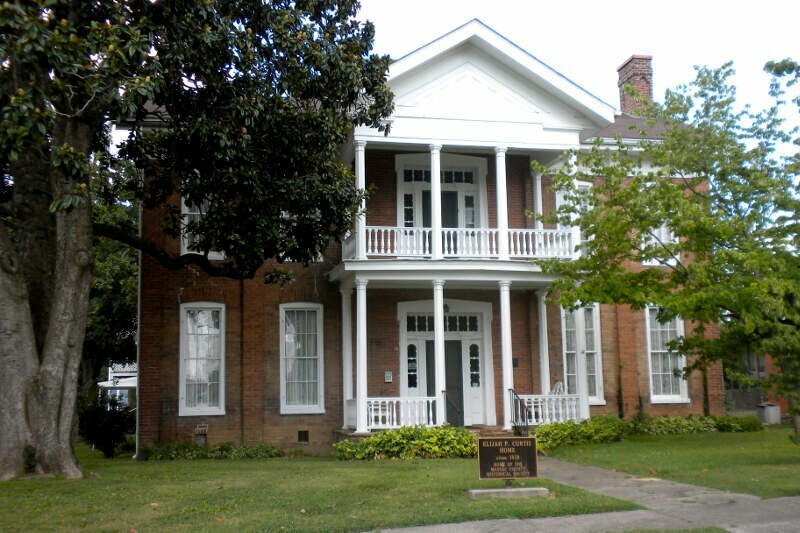 This list focused on just one state, where fewer differences exist between smaller cities and allowed for the inclusion of places like Danville and the others. 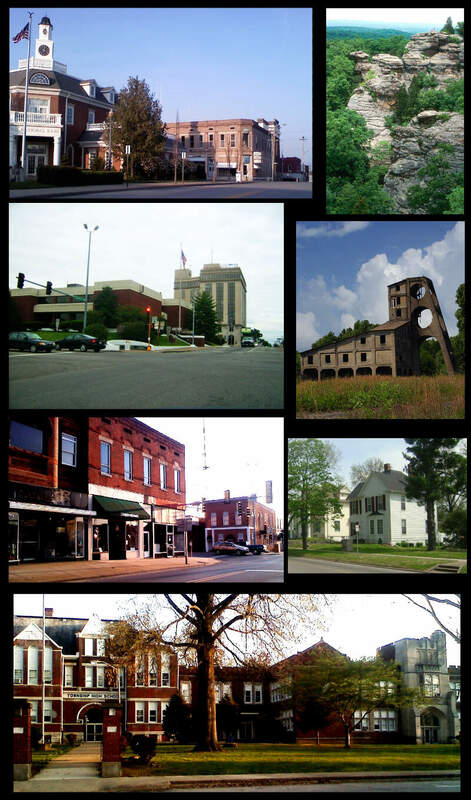 I haven’t visited Rockville lately, but I did grow up in Danville and go back occasionally. The changes over just the last decade are stark and there’s really no part of town that feels safe anymore, unlike when I was growing up and there was a mix of good, bad, and great neighborhoods. Now anyone who could get out has, and it’s just the desperate and the predators left. Where do Crete rate with crime in Illinois and where is it in comparison to Flossmoor? Please give stats. Where does Crete rate in crime in Chicago’s Suburbs, and how do it rate in comparison to Flossmoor? Please give stats.